Teacher Exchange: What Fun–What Success! 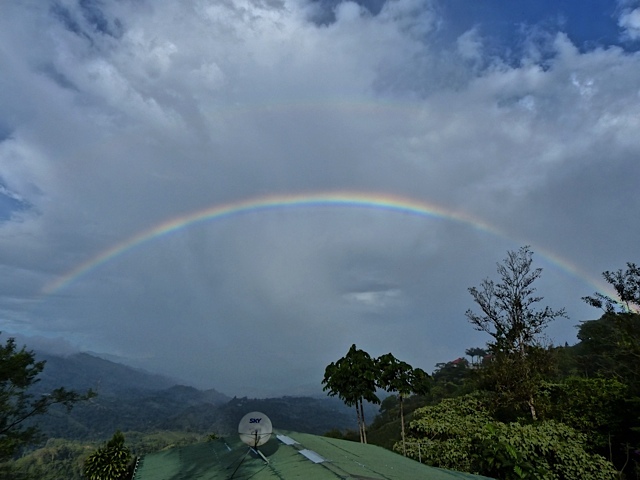 A Detectives de Aves (BirdSleuth-International) teacher exchange program between San Vito Bird Club (San Vito, Costa Rica) and Community Cloud Forest Conservation in the highlands of Guatemala recently concluded, with bilateral reports of great success, good fellowship and a promise for the future of Detectives de Aves. Our San Vito Bird Club education team–Paula Mesen, Carla Azofeifa and SVBC President Peter Wendell–returned from the beautiful highlands of Guatemala in April after spending a week observing and learning from their Guatemalan counterparts. Also attending the visit was Dr. Lilly Briggs from Cornell University, coordinator and leader of this very special project. In early May, the Guatemalan education team reciprocated by visiting us and participating in our local classes. Again, many, many thanks to Dr. Briggs for her guidance and vision. Based on reports from the Detectives de Aves teachers from both San Vito and Guatemala, this exchange of teaching techniques and styles proved very valuable to all involved and we hope that more of these international visits will become available in the future. As always, your generous donations to the SVB and the Detectives de Aves classes are much appreciated. Annual Meeting 2015 on Saturday, Feb. 21/¡Reunión Anual 2015 el 21 de febrero! Please join us at this year’s Annual Meeting, Saturday, Feb. 21. 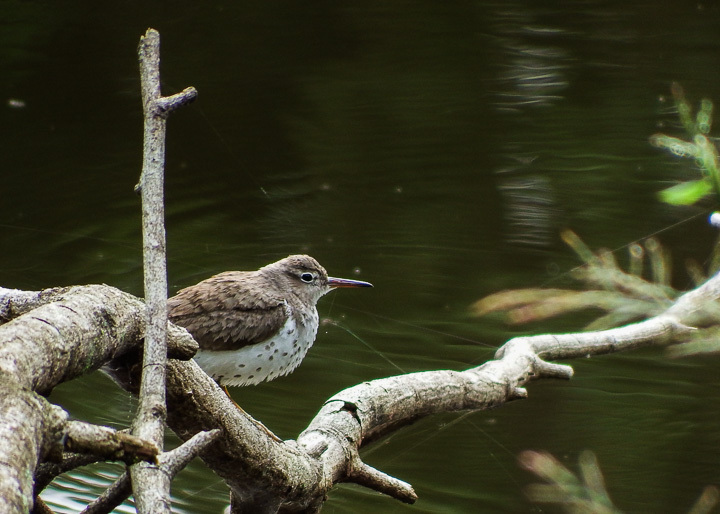 We will begin the day with a Bird Walk at the Wilson Botanical Garden, starting at 7:30 am at the Reception Building – please note this is not our usual meeting place! 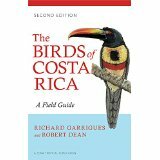 The walk will be led by our Special Guest Robert Dean, illustrator of The Birds of Costa Rica. At 10:30 am, we will adjourn to Cascata del Bosco for brunch followed by the general meeting. This year we will dedicate our gathering to Ernie Vogt. The agenda will include reports by Treasurer Fred Schroeder, ‘Detectives de Pajaros’ Head Teacher Roni Chernin and Communications Committee Chair Harry Hull, a vote to approve 2015 slate of officers, a special surprise event, and a chat and book signing with Robert focusing on his inspiration to illustrate this invaluable field guide, artistic methods and more. Note the meeting is for members only so if you would like to attend but have not as yet paid your annual dues for 2015 — Resident Members $20 or C10,000; International Members $15 or C7,500 — please bring them! Brunch will cost C5,000 (or $10) per person and will include fresh fruit, fancy eggs, hash browned potatoes, juice, tea, coffee and dessert. 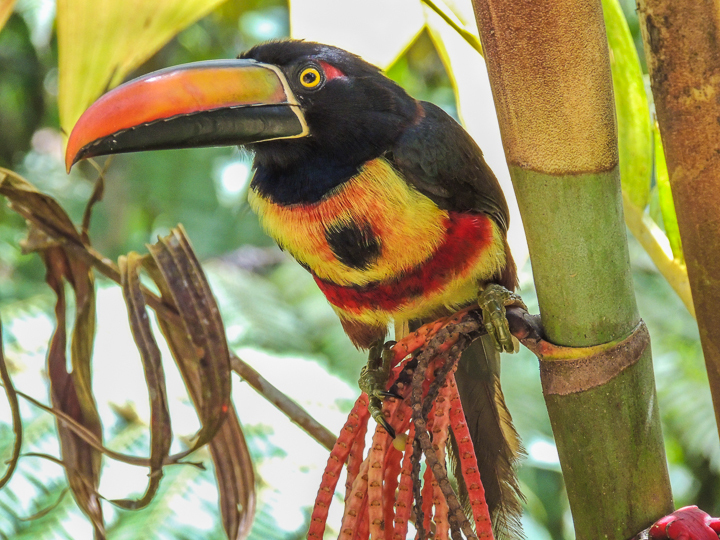 We need a final count for Cascatas by the morning of Friday, Feb. 20, so PLEASE send an email to: sanvitobirdclub@gmail.com or click here to let us know you will attend! ¡Reunión Anual 2015 el 21 de febrero! Por favor acompáñenos en la próxima Reunión Anual el sábado 21 de febrero. Comenzaremos el día con una caminata para ver pájaros en el Jardín Botánico Wilson, saliendo a las 7:30 am en el Edificio de la Recepción – ¡Por favor note que este no es nuestro punto de reunión usual! La caminata será guiada por nuestro Invitado Especial, Robert Dean, ilustrador de The Birds of Costa Rica. A las 10:03 am, nos retiraremos a Cascata del Bosco para un desayuno tardío seguido de la reunión general que será dedicada a Ernie Vogt este año. La agenda incluirá reportes del Tesorero Fred Schroeder, La Profesora Principal de “Detectives de Pájaros”; Roni Chernin y el Presidente del Comité de Comunicaciones; Harry Hull, una votación para aprobar la nómina de oficiales para el 2015, un evento sorpresa especial y firma de libros y charla con Robert enfocada en su inspiración para ilustrar esta invaluable guía de cambio, métodos artísticos y demás. Este evento es solamente para miembros así que, si no ha pagado sus cuotas para 2015 pero le gustaría asistir, por favor esté preparado para pagar en la reunión (C10,000 miembros residentes). El almuerzo tardío costará C5,000 (o $10) por persona e incluirá fruta fresca, huevos elegantes, picadillo de papas doradas, jugo, té, café y postre. Necesitamos un número final de participantes para Cascatas para la mañana del viernes 20 de febrero, ¡Así que POR FAVOR envíe un correo electrónico a: sanvitobirdclub@gmail.com o haga clic aquí para dejarnos saber que va a asistir! Happy New Year 2015! ¡Feliz Año Nuevo 2015! December’s Double Rainbow in Linda Vista. Photo by Jo Davidson. We begin the New Year with a Membership Drive, so please don’t forget to pay your annual dues as soon as possible: International Membership $15 per person; Resident Dues are $20 per person. While you are thinking about your SVBC membership, please also consider supporting our innovative education program, “Detectives de Pajaros”. This year we hope to have four teachers to present the class in at least 10 schools. One complete program of 10 lessons plus a community project for the school costs $350. We’re counting on your support for continued success in local schools! The Big Birdfeeder Competition will begin January 14 and go for one month, ending on Valentine’s Day, February 14. You will then have a week to submit your birdfeeder counts as the winner will be announced at the Annual Meeting 2015 on February 21. Here is a recap of the rules: the idea is to count the MOST species at your birdfeeder in a month. A “birdfeeder” can include just a hanging bunch of bananas but the location must remain constant for the month. Any bird that lands on the feeder is countable – yes, even a hummingbird or other oddity. Birds under the feeder that are actually feeding also qualify but not birds that accidentally land or hop there. Remember: this is an Honor System Competition! We will provide details about the upcoming Annual Meeting in subsequent posts. In the meantime, the SVBC wishes you Good Birding in 2015! Empezamos el Año Nuevo con una Campaña de Membresía, así que por favor no olvide pagar sus cuotas anuales tan pronto como le sea posible: la Membresía Internacional es de $15 por persona; las Cuotas Residentes son de $20 por persona. Mientras está pensando en su membresía al SVBC, por favor considere también apoyar nuestro innovador programa educativo, “Detectives de Pájaros”. Este año esperamos tener cuatro maestros para dar la clase en al menos 10 escuelas. Un programa completo de 10 lecciones más un proyecto comunal para la escuela cuesta $350. ¡Estamos contando con su apoyo para el éxito continuo en las escuelas locales! La Gran Competencia de Comederos de Pájaros va a comenzar el 14 de enero y durará un mes, terminando el 14 de febrero, Día de San Valentín. Usted tendrá entonces una semana para enviar los conteos de su comedero de aves ya que el ganador será anunciado el 21 de febrero en la Reunión Anual 2015. Aquí hay una recapitulación de las reglas: la idea es contar la MAYOR CANTIDAD de especies en su comedero de pájaros en un mes. Un “comedero de pájaros” puede ser sólo un montón de bananas colgadas pero la ubicación deberá ser constante durante el mes. Cualquier pájaro que se pose en el comedero cuenta – sí, incluso un colibrí o cualquier otra rareza. Los pájaros debajo del comedero que están comiendo del mismo también califican pero no los pájaros que accidentalmente se posan o saltan ahí. Recuerde: ¡Esta es una Competición con Sistema de Honor! Proveeremos detalles sobre la próxima Reunión Anual en mensajes subsecuentes. 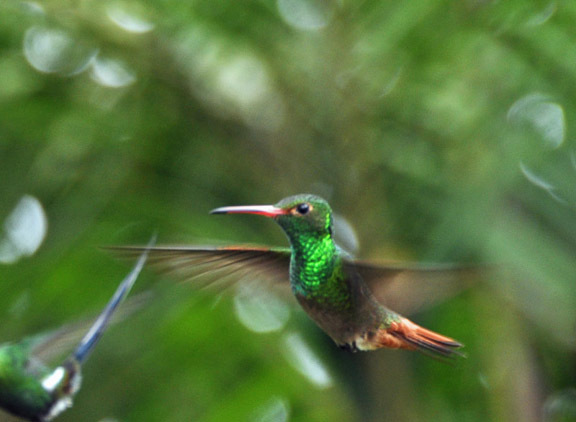 Mientras tanto, el SVBC le desea ¡Una buena Observación de Pájaros en 2015! 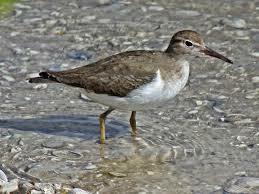 Pop Quiz #2: What Bird Is This?/Prueba numero 2: cual ave es? Everybody ready? 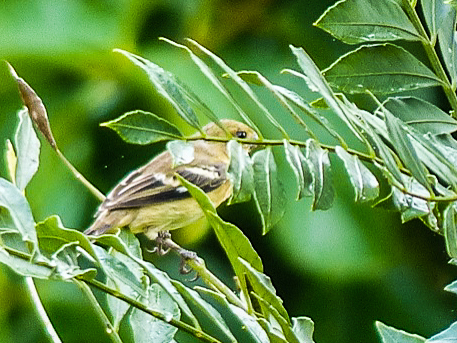 Hints for Quiz Bird #2: it’s smaller than a robin/thrush; the photograph was taken in Linda Vista near a house with shrubs and small trees but no real garden; this bird sings a lovely song. Quiz Bird #2: cual es? First person to correctly identify this bird wins the same prize offered last time: one dozen home-made Chocolate Chip Cookies! Listo? Algunas pistas estan: mas pequeno de un yiguirro, foto de Linda Vista cerca una casa con arbustos y arbolitos pero falta jardin; este pajaro canta muy bien! Lo mismo premio: 12 galletas de chocolate, hizo de mano! Festival at Las Cruces/Wilson Garden Saturday, June 28! 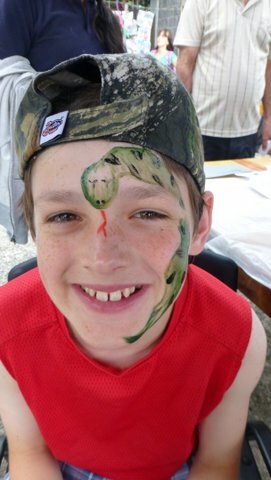 Come one, come all to the OTS Las Cruces Biological Station/Wilson Botanical Garden Festival de la Conectividad Saturday, June 28. 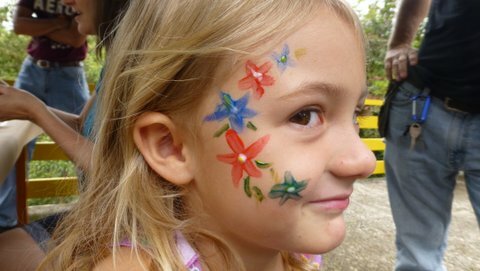 We will be painting faces and selling yummy cookies and cakes to support our education class ‘Detectives de Pajaros’! Hope to see you there!